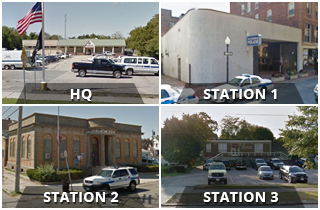 New Bedford Police Sgt. Pamela Melo, left, and Det. Dominique Sherburne, right, of the NBPD family services unit, had a golden moment today. 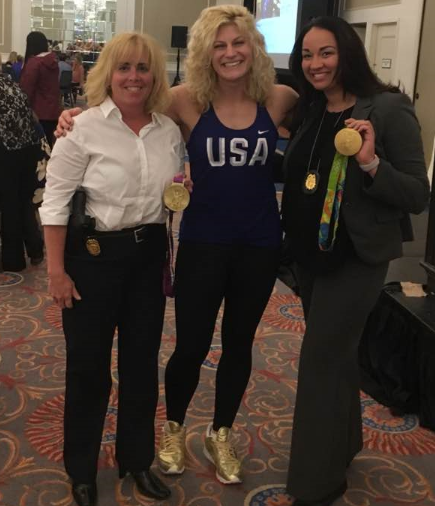 They met Kayla Harrison, two-time Olympic gold medalist in judo, in 2012 and 2016, and a child sexual abuse survivor. Ms. Harrison, who lives in Massachusetts, was the keynote speaker at the seventh annual Massachusetts Children’s Alliance in Framingham. She also received the One With Courage award. The conference was titled Healing, Hope and Justice: An Advanced Conversation. We believe everyone who works for a safer world for children deserves a gold medal!